To see kitchen in your dream may represent that you will solve the problem before it emerges, be far away from bad issues, get rid of the troubles and be prepared for everything. To see that you are cleaning, sweep up or wipe up the kitchen in your dream suggests that you will check, get rid of your doubts by following a person. Also, it means that there is a person whose intuition is very strong. To see kitchen cupboard in your dream indicates that you will participate in a new environment by moving into there, adapt to this one, set up a new order. To make a kitchen cupboard done in your dream signifies that you will help a person whom you like about his having commodity, property. To see a propane cylinder in your dream refers to introverted and problematic person or a person who is incapable of doing something and waiting for being guided. To see kitchenware in your dream refers to friends who intermesh and a strong relationship. To see kitchen glassware in your dream symbolizes partnership or family life which includes different types of troubles and insincerity but which is strong in appearance. To see of buying kitchenware in your dream may imply that you will find friends. To see shelf in the kitchen in your dream denotes an assistant, a person who supports or family elder whose spiritual being is felt in difficult times. To see a food processor in your dream represents that you will be in order, fulfill your job within plan. It also refers to the beginning, the first process of the target. To tidy the kitchen in your dream means that you will do your job by your own, won't use the mediator. To see a kitchen bench in your dream indicates that you will choose your school, take step which determines your direction or take a job offer. To clean the kitchen in your dream may represent that you will commit a sin and regret, try to ease your conscience by apologising. To see that you make a kitchen done or renew it in your dream refers to relative visiting to abroad, short term visit. To see that kitchen is burning in your dream means that you will have negative incident, a depressive update occurs or you will take a unfavourable offer. To see a kitchen stove in your dream denotes that you will begin to enjoy prosperity, make things right and clean somewhere. To see kitchen curtain in your dream indicates that you will finish your debts, be relaxed, rescue from the enemies by escaping. To see kitchen window in your dream refers to happy events, good news or happy updates. 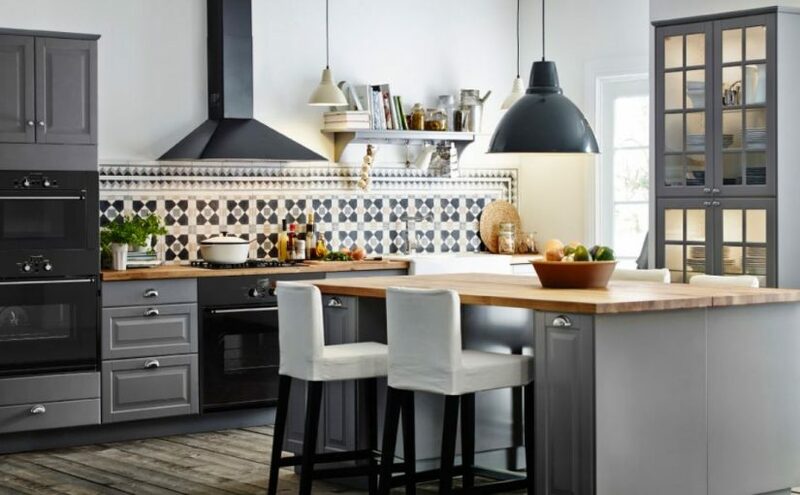 To see shopping for kitchen or you do shopping for kitchen in your dream denotes that opportunities will increase, status will enhance or life quality will increase distinctly. To see kitchen appliance in your dream may indicate that you will go a restaurant for the first time, go to a different city, see a place which you desire too much. To dream that a kitchen cupboard drops or is broken may signify that you will have adaptation problem, won't fall into step with the environment and have trouble because of adaptation issue. To see a kitchener in your dream symbolizes that you will live adhere to a person, won't stand on your own feet and will be a weak person. To see kitchen ceramic tile in your dream refers to happy events and happiness. To see kitchen towel in your dream means that you will meet with your old friends, participate in organisations with them, take a trip down memory lane. To see the door of kitchen in your dream denotes that you will be on the horns of a dilemma, choose the way, have terrible days because of ambiguous condition. To see kitchen washbasin in your dream refers to business trip and journey which you will have because of reaching the profit. To see a kitchen sink in your dream may indicate that you will paint, renew, repair the house. To see kitchen cloth in your dream means that loyalty will increase, spouses will give a gift each other, you will live inside the integrity. To see a kitchen table in your dream may represent that you will know your commodity value, economise your goods, be careful with money. To see kitchen marble in your dream may represent that you will have self esteem, boast about yourself, be too big for one's boots. To see kitchen apron in your dream symbolizes that a commodity which is seen as valuable will be lost or stolen. To see kitchen drawer in your dream refers to holiday with friends or funny organisation.